The history of the library at Green Mountain College is one of continual growth and improvement. The library was for many years located in the basement of Moses Hall until it became obvious in the late 1940s that a larger facility was needed. According to an item printed in the May 2, 1950 issue of, Alumni News, a new library building would represent the first major construction project on campus since Dunton Hall was completed in 1922. The money was raised for on October 21, 1950 a new library cornerstone was put in place. Placed within the cornerstone was a copy of, The Leavenworth Case, a mystery novel by Anna Katherine Green, Class 1868, who is known as the nation’s first woman mystery writer. The new library building, now known as Surdam Art Building, was opened in 1951. By the mid-1960s it was apparent that this library building was no longer adequate as there was insufficient space for students and for the rapidly increasing book collection. A new library building committee was formed and began meeting in 1965. The College employed Crandall Associates, of Glens Falls, NY, as the building’s design architect. The John A. Russell Corporation, of Rutland, VT, was the contractor. The Library was planned to be a state-of-the-art facility. Open stacks, large and small study tables, individual and private study carrels, and private study rooms were designed to permit unrestricted access and usage by library patrons. A large and open staircase contributed to the building’s welcoming atmosphere. When it opened in 1970, the 34,892 square foot building was designed to hold 100,000 volumes. 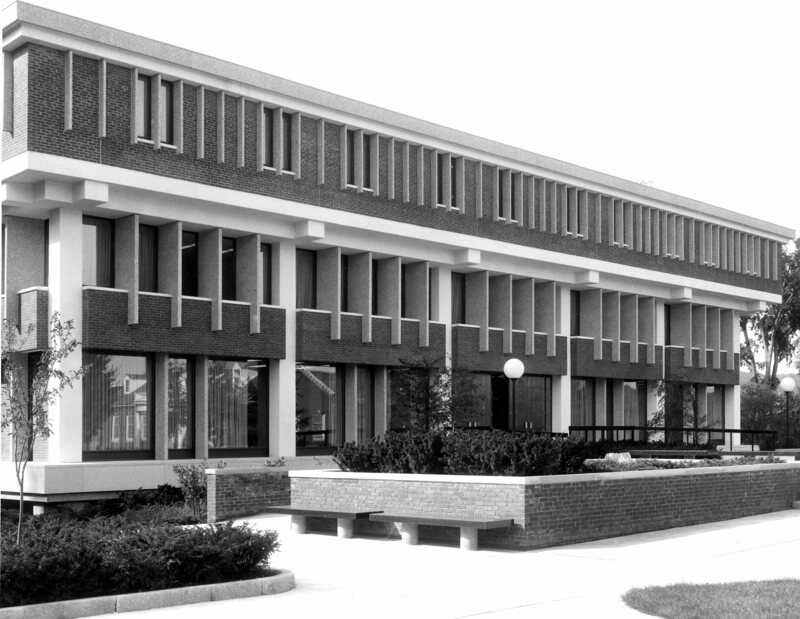 In 1989 the library was named Griswold Library in honor of Steele Griswold, Class 1941, on the occasion of his retirement as Chair of the Board of Trustees. Beginning in 1998, the Library underwent a thorough remodeling. Among the elements of the Library remodeling program undertaken in the summer of 1999 included the following: opening up the entrance and foyer area by means of glass windows and doors; the installation of the Robert W. Dickgiesser Electronic Classroom; construction of two computer classroom / laboratories on the 2nd floor; dedicating a room in the basement to IT/Computer Services; and, moving the Jose Calhoun Learning Center from the basement of Moses to the 3rd floor of the Library. Problems with climate control were remedied with the renovation of the heating and air conditioning equipment, and the roof was replaced. The Library remodeling project was undertaken in conjunction with a plan to provide Internet and cable connections in each residence hall room and in buildings throughout the campus. In 2000, the Library acquired Voyager software, a Unix-based integrated library catalog, circulation, and acquisition system. The following year the Library’s electronic catalog, ‘Quarry,’ came on-line.